The children in Classes 1, 2 and 3 braved the impending rain to take part in our traditional Harvest Festival at the Baptist Church. 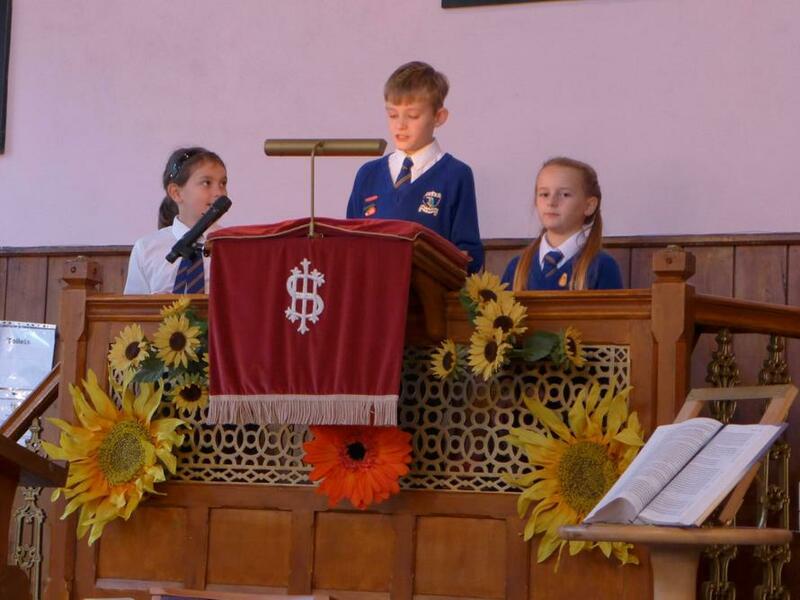 The service, led by the Rev Johnson, was extremely well attended by not only parents, grandparents and family friends but also by members of the local community. 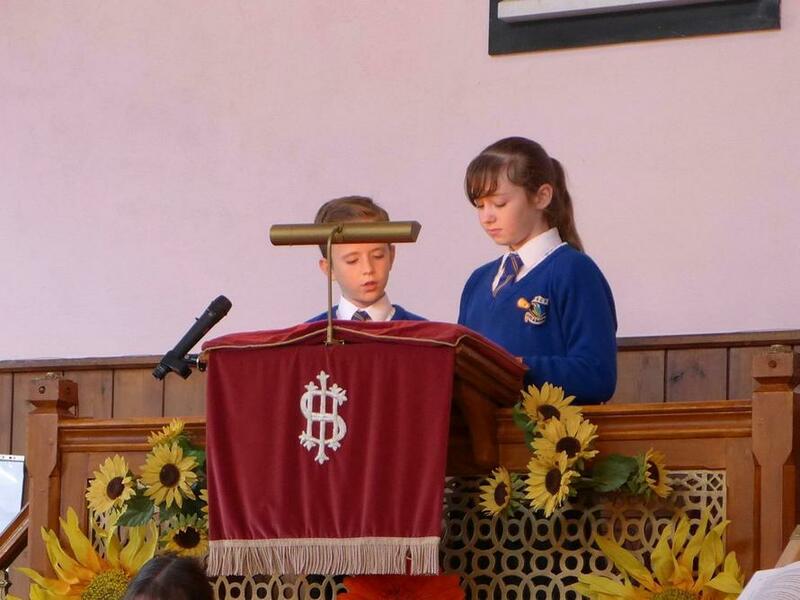 As well as presenting their harvest boxes to be blessed the children also sang a variety of songs and read some of their own prayers and poems composed specifically for this celebration. 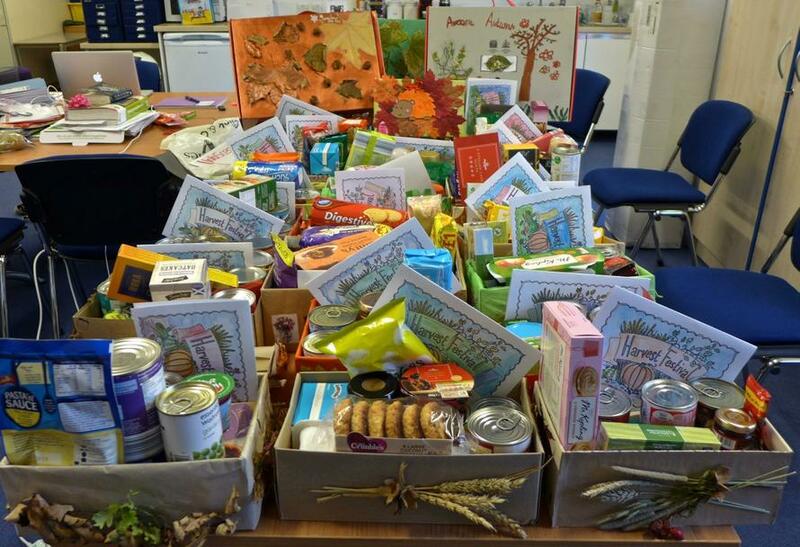 This service is always incredibly well supported by the parent body and the children in Class 2 were delighted to be able to create 24 boxes of produce that they then distributed throughout the local community. The recipients are really grateful for the gifts they receive and I have already taken a number of phone calls from people who are now house bound. They commented not only in the generosity of the contents of the box but also on how well mannered and friendly the children were.